“We should use this effort as a platform to build tomorrow’s leaders just as George Ade, et al., did 100 years ago” remarked Bruce Herreld ‘72, Campaign Co-Chairman, as Delta Delta launched the most ambitious fraternity building campaign on record. The Delta Delta Chapter House built in 1912 at its current location at 202 Littleton Street has been remodeled on several occasions. Its most recent renovation in 2007 was a $7.4 million project to completely restore and update the historic chapter house. The 2007 renovation added 19,000 sq. ft. of living space, a fire sprinkler system and air conditioning. It completely updated all study rooms, the kitchen, bathrooms and social areas. Small group and conference rooms were added to complement the Library. High speed fiber optic wireless internet access is available through-out the house and computer lab. This renovation was completely funded by alumni contributions and was completed in July 2007. 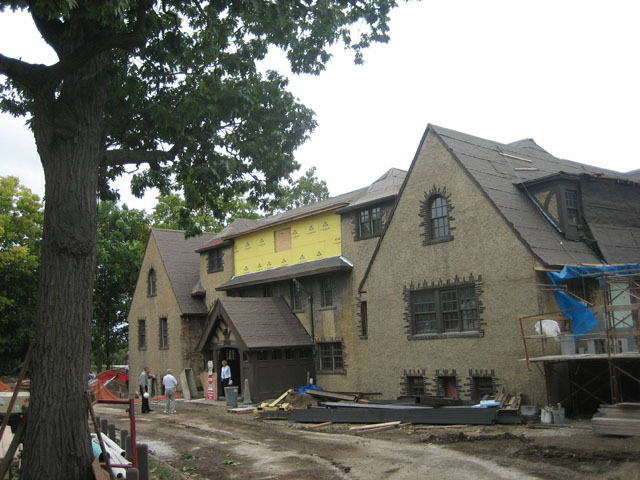 The renovated chapter house was rededicated on October 12-13, 2007.